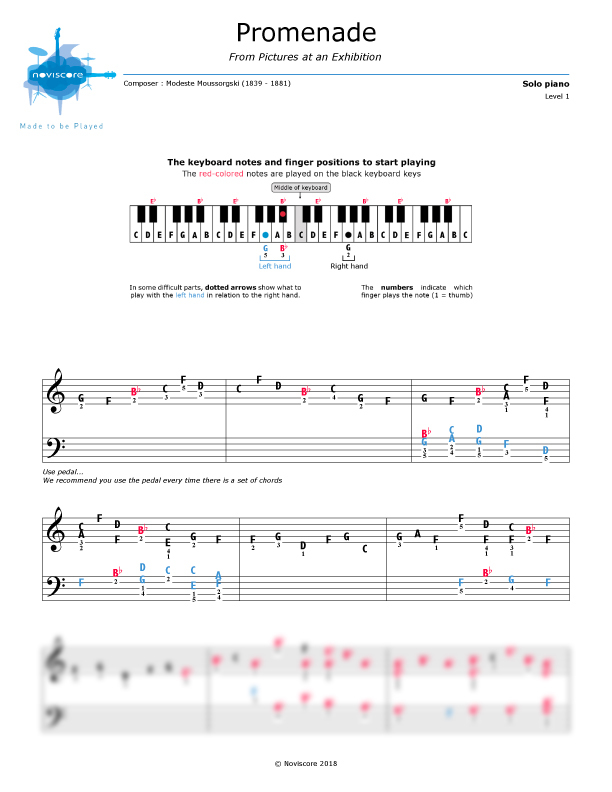 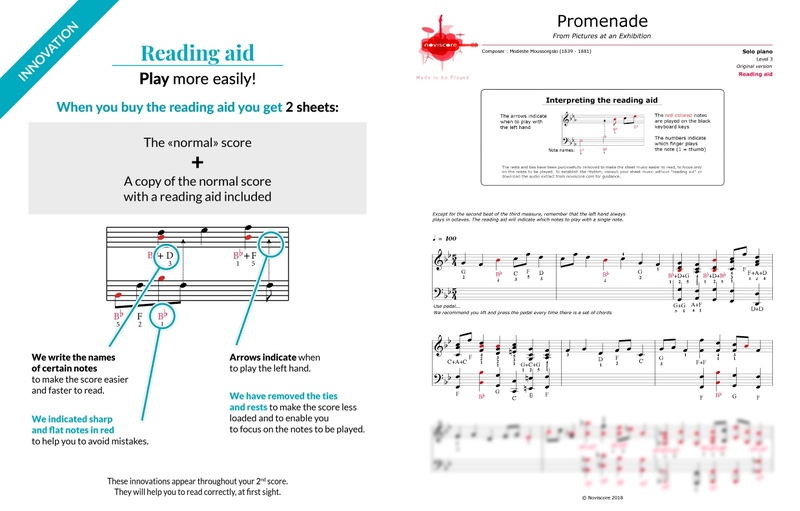 We are pleased to unveil our "Promenade" piano music sheets available in 3 different levels of difficulty for piano solo. 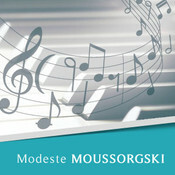 This title is the first of ten movements written by the Russian composer, Modest Mussorgsky, in 1874 in his work Pictures at an Exhibition - A Remembrance of Viktor Hartmann. 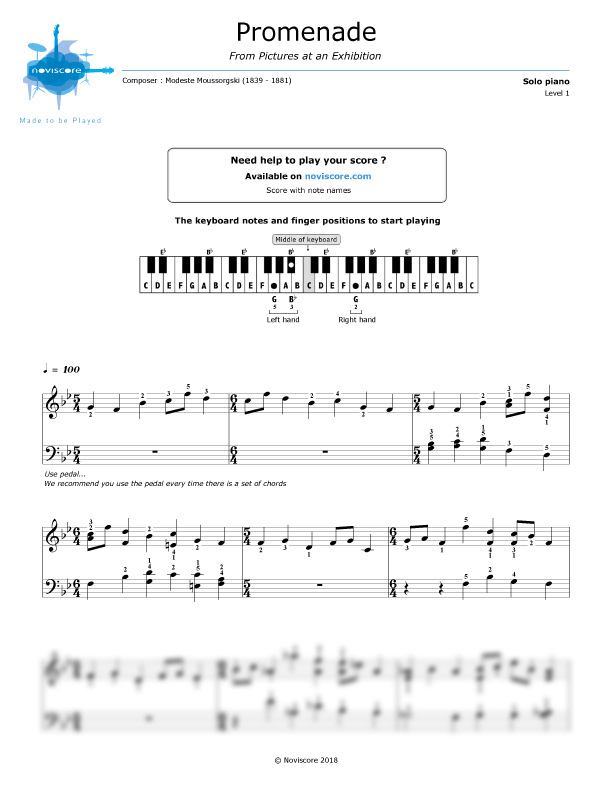 If you are a beginner, opt for one of our level 1 scores, either with the traditional notes or, if you have trouble with music theory, with the names of the actual notes. 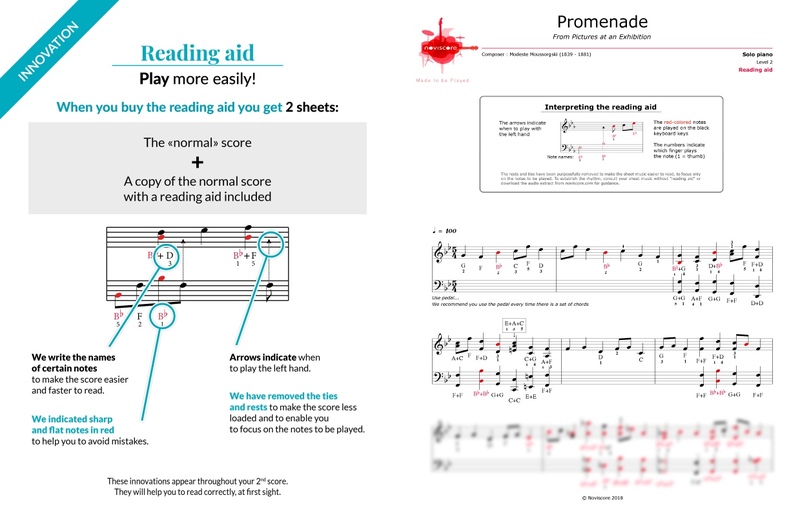 Those with more experience have the choice of 2 levels with reading aid for easier sightreading if required.